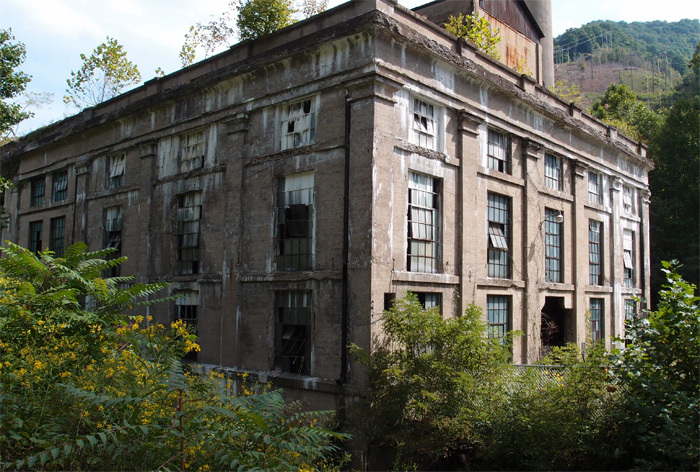 This was built in the early part of the last century, when U.S. Steel established Lynch to handle the coal needed by the company. In 1940, the town had a population of 10,000. Not so today, as I’ve mentioned in earlier posts. This building is, obviously, abandoned. It was build well and, though crumbling, still has an air of stability about it.